Ecmwf is showing a stronger system 3 days ahead, they aren’t in line. The weather connundrum.. The MJO and IOD drive the systems forward.. the SOI has probably a big role in determining where the systems go.. NAP, SAP/NTN or mid TN/lower. And as the systems take their time to make their way, western disturbances 2000 KM north may drive storms off, and stubborn HPAs in the southern penninsula may bring in winter like situations.. while rogue Arabian sea systems may throw another spanner in the works. All I want is a simple easterly.. Rains will reduce in Chennai for the reminder of this week. Gfs falls in line with ecmwf on system in terms of location and time period . Track may still come in for change as well. As usual the king leads. Yeah getting more guaranteed.Gfs will come in line at last. But this run it is trying to match itself somehow with ecmwf. ECMWF, GFS, GEM, NAVGEM, JMA shows TN landfall! Convective clouds have slowly started to build near SE bay and the adjoining areas. UAC in Arab sea will turn as a cyclone and target Gujarat / Pakistan. Ecmwf has come with consistent good runs. Let’s hope for the best. Lol, if any model shows a system for TN, then you will call it consistent and good! Consistently showing a wrong forecast is another thing! Then for which one we should be happy ? Sorry I din see the posts of our frnz..
Why still few are not believing our system?? There is a consistent increase in eq westerly winds along central ind ocean!! Low pressure area over Arabian sea off coastal Karnataka is becoming well marked low pressure area.And upper air circulation over bay of bengal off north Andhra coastal area still persists. Under the influence of above factors,many parts of north interior Tamilnadu ,western interior Tamilnadu and some parts of coastal and south Tamilnadu,Delta districts would have medium to rather heavy rain today. Another good news is that a low pressure system is expected form after 10th nov and move towards Tamilnadu.As many factors are favoring a cyclogenesis and some weather models are picking up this system and steering to Tamilnadu.What ever it is ,another 10 days going to be wet days for many parts of Tamilnadu. Many parts of North west Chennai received heavy rain yesterday and skipped other parts of city with a drizzle. Many parts of Western interior ,Interior Tamilnadu also had good rain. Further forecast favors north and western interior Tamilnadu.Heavy to very heavy rain may experience at some places there. Diwali comes once in a year…..celebrate it …y rain??? After 10th might be second system?? A low pressure area has formed over eastcentral & adjoining southeast Arabian Sea and the associated upper air cyclonic circulation extends upto 3.1 km above mean sea level. The system would become well marked low pressure area during next 24 hours. I feel ECMWF followers will be taught a good lesson in a day or two. ECMWF will fail big time with this system as its genesis itself is a day away. Rains are confirmed for next week but not under the hyped impression of ECMWF! LPA formation by Friday and Landfall by Monday is a hypothetical scenario unless it forms close to our coast and intensifies. I believe GFS is cracking this system well than ECMWF though the former is not consistent. But isn’t it too early to believe this scenario of ECMWF? Most of the time ECMWF will be a successful one hope so it wil win this tym. Yeah, system is sure but we still don’t know the intensity and the date of LF. Akshay, Nature cannot betray Nellore for 3years in a row. Action time for Nellore district starts any time now. If you tell something, there is something on the cards. But intensity is the question given the ARB system. 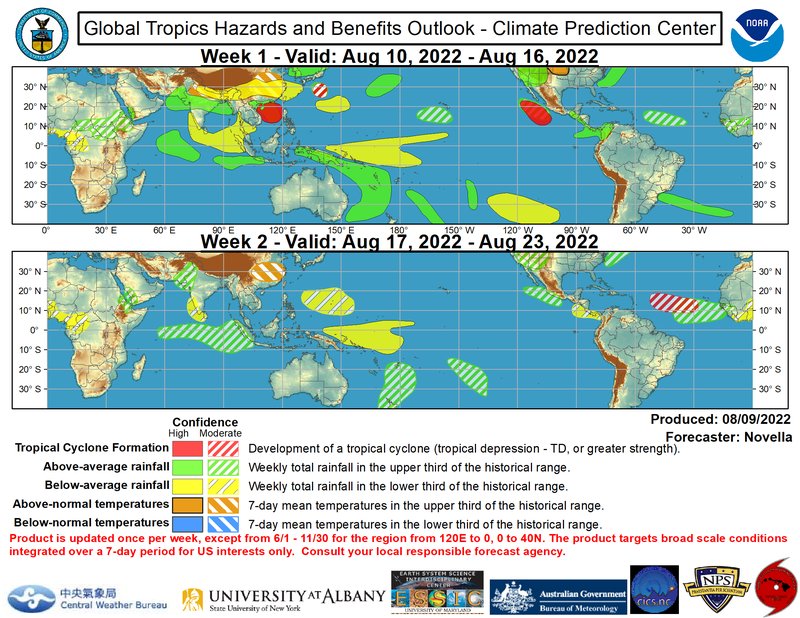 So many factors favouring this year’s abnormal intensity of the tropical systems. Hmmm..so cat2 for chennai …….?.?. Omg……don’t want sir……..I think chennai can’t bear cat3 r 4????? Yemen handled it. Why can’t Chennai?? Hasn’t it snowed yet? Heat wave in November? This is terrible. When I was there, never did we have temp above 6c in november. Snow had already started in the western US. Sub tropical system moving in s.hemisphere along 110E affecting darwin pressure and moreover mjo moving into central,eastern part influencing the pressure across indonesia adj areas so we might see the increase in soi values as pressure is dipping here.. so what we are seeing is the effect caused by two diff tropical and sub tropical system ,definitely not the cause..
Can you pls elaborate how it links to IOD, NEM & rains for us? Ramanan sir live on Thanthi TV at 3 pm today! When MJO stays in a Phase for longer time, it has to produce cyclogenesis, that is what happening with Diwali system, it should cross SAP-NTN coast, as i was saying this for the past few days. I also mentioned about 93B not going to become a strong one in Bay since MJO was in Phase 2 till 31st and moving to Phase 3 by 31st Oct to 01st Nov, by the same time 93B has weakened to UAC and moved to Arabian Sea, hence no impact happened in Bay. The upcoming Diwali system developing in perfect time as the MJO is in Phase 3 at the moment, hence no shortage of cyclogenesis. Now nothing can stop this system either Cyclone or a WML, it is going to pour. I have mentioned on Monday that we have possibility of TS yesterday and today, it has happened over interiors, city has missed it narrowly, today also we have chance for TS forming, lets see how much we get out of it. Cheyyar got non stop rain for 6 hours yesterday. anyone knows how much avadi recieved yesterday. ? If mouli was in Ambattur. He could have informed about Ambattur rainfall. My guess is 7 cm of rainfall could have recorded. I still remember those few days how bloggers were in anxiety on that system and you explanation on SOI.. Unforgettable disappointment was that one!! It’s got delayed. At the time of 93B, SOI decreased hence not supportive for its strength. But still I hadn’t lost faith about Chennai system yet. It will turn true. although we anticipate low shear values ,but generally during initial stage of cyclogeneis increase in shear at lower level (600-925hpa) is a necessary thing to increase the horizontal vorticity. PAC of today shows that widespread heavy rain occurred yesterday over West of Chennai.. Many places recorded close to 10 CM. This coming system is so special with good rains. It is chennai system, which is forming after 1994. Questions can be raised easily, but when it comes to reality and if we place ourselves in his position , we ‘ll come to know the challenges. Simply because he represents IMD in this region, he faces all sorts of criticism. Definitely, this field is seeing very good improving conditions, and so will be the impression on people who work in it. Yes sir, when we discussed with him several times in person as well as over phone , he never hesitates to explain to our doubts and he has also encouraged us several times. He has shared us many online sources from where we learnt a lot. There is a huge difference in ECMWF and GFS in terms of LF date. Both shows the LF near Chennai, but ECMWF says the LF on 09th, whereas GFS says by 12th. By seeing OLR forecast of CFS, i could see the it matching with GFS LF Date. Even CFS indicates the LF on 11th or 12th only. then what will you say about CFS forecast based on negative OLR movement? what is the diff u r seeing now in cfs? CFS Negative OLR completes by 12th and then comes back Normal.. The GFS seems to be more dynamic! Parthasiri overall consensus emerging on the Diwali system right. 1994-Severe cyclonic storm-03B, which crossed at Chennai has similar type (just like 2015) MJO loop at phase 2. 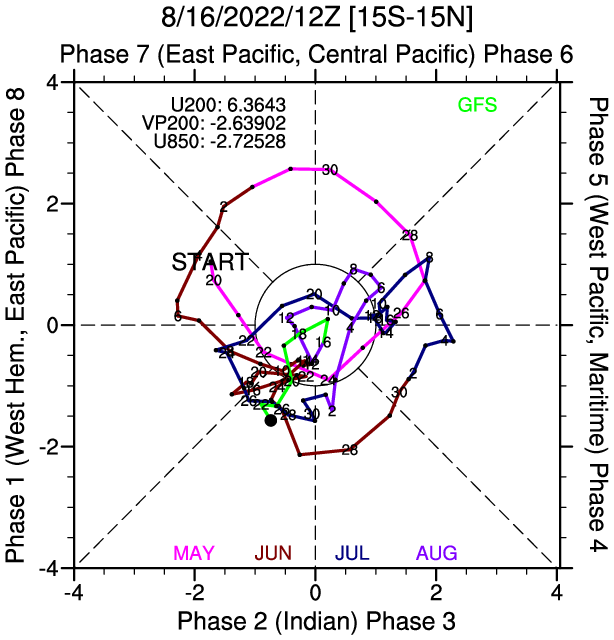 In fact at present MJO is making this loop with higher intensity than 1994. So anything can happen to make this tropical system to a significant one. As a strong sigh of relief IOD decreased (similar to 1994) and SOI started increasing, which is crucial factor regarding our BOB-pulse. The above post is 2days earlier one. After a long time ,waiting for a cyclone to cross chennai. But, as usual ,always ready for any dis-appointment..
there it is .its fast and quick now to match with ecmwf..
Diwali System Impact – Rain should begin by Saturday the 07th Nov over Coastal Areas. Whether it’s double vortex or triple vortex, no need to worry all these vortexes will merge and become single ultimate vortex. One has to note down the difference between 93B and coming system. It’s just IOD and SOI. This time IOD decreased to facilitate BOB system, which would get good support from strong trade winds with increase in SOI. For 93B both these IOD and SOI turned negative. Has it rained on a Diwali day in the past. I know Pondicherry rains 2011. Every year, we get rains on Diwali day or b4 that day.. Last year also we got light rains.. But system on Diwali day is a rare one.. I dont know why people want cyclones which cause wide spread damages even though they give rain. Instead what we need is more of depressions and DDs etc . Ultimately rain counts. but we, cyclone lovers r controlling it..Nov is known for peak cyclone month.so nothing wrong in expecting!! NEM is always known for cyclones/DD /D Seasons.. That too Nov is a peak stage of it.. Nature has its own way, and it’s coming on it own..
Is this over buid up? or will bound to happen ? Ecmwf will be consistent.. Not a major change can be expected.. May be date can vary. Ha haa…..inconsistent of gfs…showing their originality..
system should be confined to south then? Guys today too afternoon rains? Any popups?What’s on the radar for us? Diwali time frame I meant. This is Kashtem not a system! Lol…we will know the truth soon! Lpa’s are in bounty here! But still not as equal as beauty of BOB cyclones. Yeah, i was lucky enough to experience a few! Which was the last one u experienced? Landfall between Cuddalore and Pondy in December! Latest satellite pic shows convective development off Aceh Sumatra! Expected to develop into a big one! GFS still keeping the WML in GOM and NTN till 10th November. System LF might be after Diwali only, not before that, it cannot form rapidly as per ECMWF, as it says LF by 09th as a minimal cyclone, that is too fast for any cyclone formation from LOW. Hence it will happen after Diwali only. Heavy rain forecast during Diwali this year unlike last few years. Less pollution. after pollution and sound of Diwali gets over, the birds will return the next day, but by mobile towers we lost sparrows and other birds, so lets stop the blind faith on pollution created during Diwali celebrations. Yes absolutely.. They r well known abt this fesv, they will back again to routine next day..
We have polluted the world in many ways.why to continue even for Diwali. Let us take pledge not to burst crackers to keep ground water clean. BTW, My native is sivakasi. I know their sufferings. Child labour and how many people die every year making crackers. Few companies they make money and they know how to find alternate work. Why cant you switch off your mobile phones in new year day and sit and enjoy with your family it can reduce noise pollution to birds?? It’s a long endless topic.. one fesv won’t make more r less pollution.. Stop using vehicles for short journeys like shopping.. Nowadays many ppls don’t like walking for a 100mtr distance also.. It should happen slowly as per GFS, so that we will get 5 days of wet spell from 07th to 12th until LF. It cannot happen as per ECMWF, now ECMWF might change. it will fall in line with GFS, no LF before Diwali. Partha,Will it rain continuously without any major breaks? how do you say it cannot happen per ecwmf? atlast we found a problem, now i feel that it should stay as a LOW instead of D or DD or Cyclone. 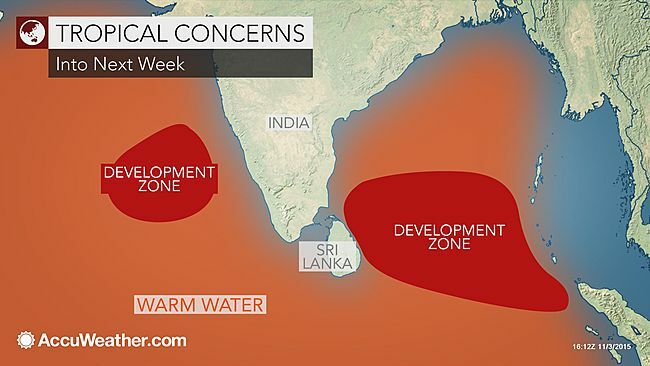 this should prevent cyclone intensification in ARB sea? Is OMAN part of NE Monsoon map? Hopefully we will find it during Diwali! TN is getting very good rains i believe..
where gone all the rains. chennai dry for the past 2-1/2. days. what was the rainfall figures yesterday evening. any updates?? More dry days ahead before Diwali! GFS not detecting any strong system until 10th, it stays as WML or LOW till then. Gfs inconsistency exposed. Yesterday they said depression. ECMWF changes at the last minute like last time. We need accuracy, not consistency! I would be surprised if a model remains consistent in the bay! ECMWF will fall in line with GFS! You are right Partha. How can a Low which doesn’t even form till now make a LF by Monday? Crazy ECMWF will change in next run! GFS forecast looks sensible but ECMWF expecting a miracle! Good chances for ECMWF to fail miserably. MJO weakening in Phase 3 itself from today and remain with amplitude of 1 in the remaining days..
earlier the decibels of crackers were high, also we use the crackers, almost for one week before, and after diwali, never felt polluted those days, also we have seen lot of birds and animals, insects, which went extinct now, is crackers is the only reason for all these,? I pray for cracker free Diwali this year . Will it happen ? Many lives survive upon the cracker industry! The useless chart, this has indicated a system in SW Bay by 30 and 31st October but nothing has happened. It is still kept on moderate category. We’ll wait. lol..it has failed many times..
one more bigger system, coming up ( JTWC notified) in arabian sea. will it have some impact for our rains ?? Unfortunate – not useful for indian land. please clarify in my experience, i had not seen the weather pattern we observe for the past 5 days in chennai ( last 30 years) winds erratic, rainfall movement all the more erratic and massive thundershowers west of city, no big easterly cloud pattern. what is the reason for this ?? LOW in AS has created the unusual wind pattern from SW to NE on Monday, this has bought TS over interiors, then wind changeover yesterday, as i have predicted this on Monday itself, since the wind has changed more unsettled weather pattern created TS over interiors again and gave heavy rainfall. acceptable points. now what is the position. NEM type of weather is back at chennai and other coastal pockets? both IMD & vagaries not reporting about any proposed system in bay for the next 5 days. only arabian sea looks like developing. at least we can get some afternoon thundershowers. Yesterday poondi reporte 85 MM arakonam more than 100 followed by many weather stations ranging from 10 to 100 good news for lakes. Arabian won’t impact us as our conditions on mjo, iod and soi perfect for our system. We need proper ridge formation that’s all. NGFS forecasts Cyclone hitting Nagai by 12th November.